Meet Josh Yang chocolate maker and owner of Pa'aulio Chocolate. Josh grew up in Seattle, studied as a musician, wrote incidental and vocal music for plays, and lived in Toronto and Los Angeles. About 17 years ago he moved to the Big Island of Hawaii'i and bought a piece of land. 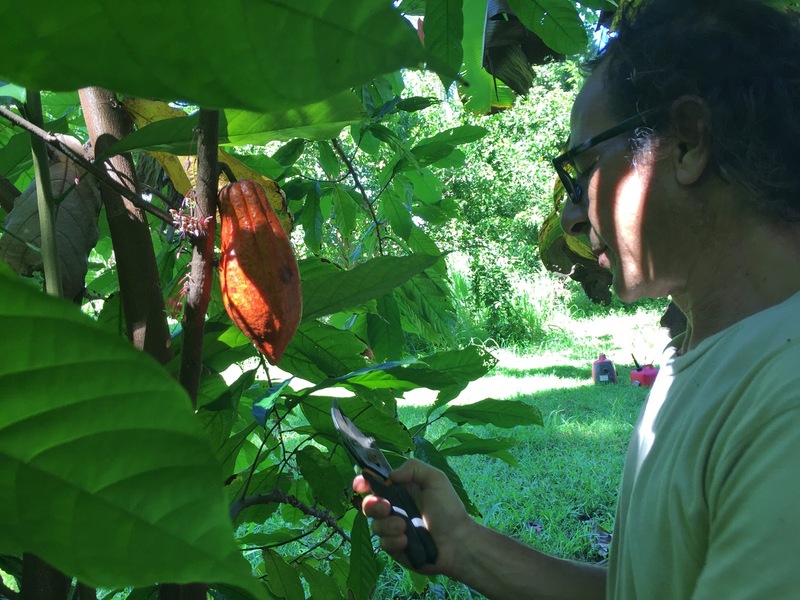 Over the years he has created and planted a beautiful farm growing cacao, tropical fruit, turmeric, kava, and gorgeous flowers. I'm not sure becoming a farmer was his intent early in life. I'm not sure becoming a bean to bar chocolate maker was in the plan either. And here he is, a father to two amazing kids, tropical farmer, craft chocolate maker, and still a musician. Bean to bar, tree to bar, however you say it, Josh is in control of the process. 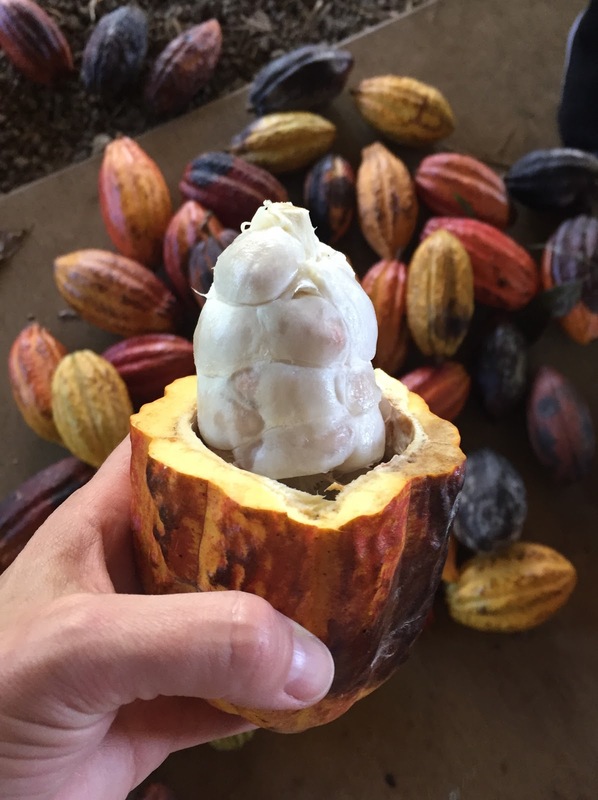 He has cacao trees growing on his farm, protected in a beautiful canopy of many fruit trees and bamboo, however the cacao trees aren't mature enough to produce enough beans quite yet so he works with pods from the Blesh-Hill Cacao Estate. He ferments, dries, and then makes the chocolate, all himself, as a one man show. Josh showing me how to open a cacao pod. He let me help with the process of opening the pods, fermenting, and drying. We even pressed juice and dried some cacao pulp. He went way above and beyond to make sure I had a full cacao farm experience! Josh approaches the after harvest process as an artist would, weaving in adjustments in fermentation, drying, and roast, based on what the beans need. He uses only Hawaiian grown ingredients as much as possible for his creations. 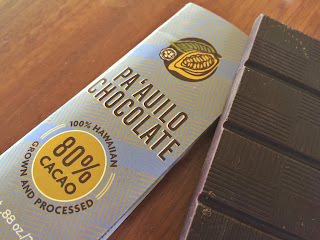 The 80% bar has only Hawaiian grown sugar cane and cacao. Two simple ingredients. Deep notes of brownie and fudge without a big hit of sweet. 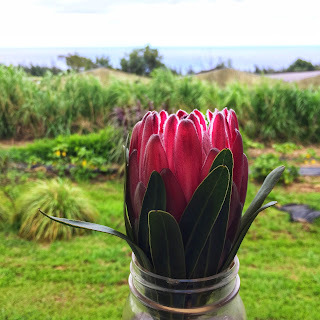 Notes from my tasting journal: Rich dark and smooth like Kona coffee. His newest bar is Hawaiian grown cacao with Hawaiian grown vanilla beans. 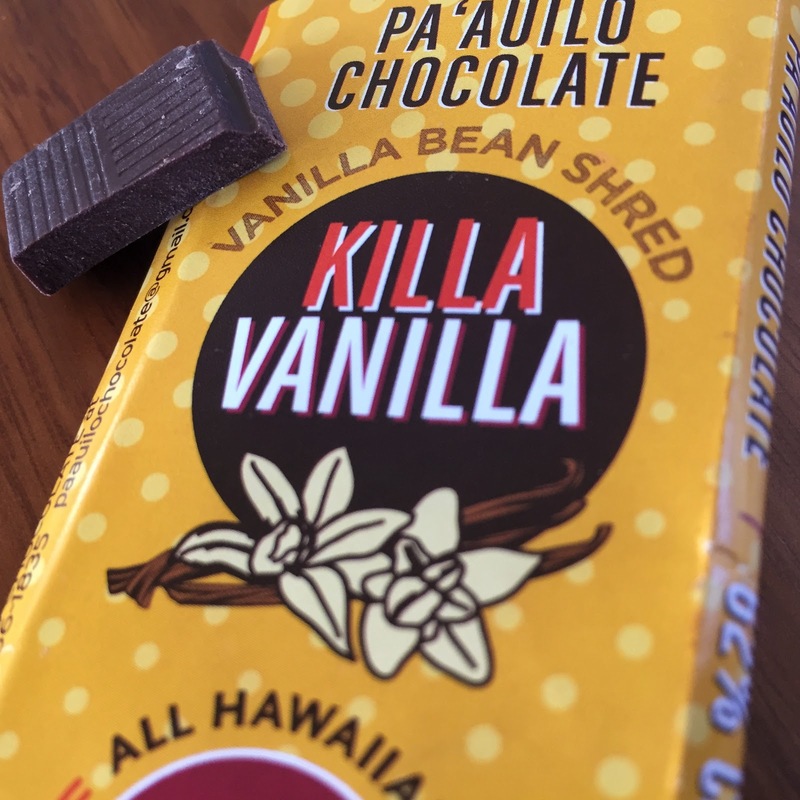 The Killa Vanilla bar has shreds of vanilla bean right in the chocolate making a very vanilla forward bar with an occasional shred of vanilla bean that ads a tiny bit texture as you find tiny vanilla shreds. This bar is for those people with a sweet tooth and a love of vanilla. The fresh vanilla flavor notes are strong, just as Josh intended! My tasting journal notes: Sweet vanilla shreds in smooth chocolate with fruity notes. In addition to these two bars he will make custom bars, wrapped but unlabeled, and in bulk (contact him direct). He has made bars with inclusions such as kava, a macadamia "gianduja" style bar (I can only imagine, sounds decadent doesn't it?). He will make anything reasonable, as long as he can acquire the inclusion or it can be sent to him. Chocolate makers always approach the craft with a piece of their personality attached. Josh is very much an artist, very creative, with diverse preferences (from dark 80% to sweet vanilla shreds and a few bars in between). It will be so interesting to keep tasting Pa'auilo chocolate as I know it will vary from season to season and batch to batch, as the terroir impacts the cacao beans and Josh works as an artist on making the chocolate. He also employs farming methods that are in harmony with the land. Check out the Facebook post below. And, yes, that is a jack o lantern carved from a cacao pod. Need his email to order chocolate or turmeric? DM him or get in touch with me. P.S. Josh makes a mean wood fired pizza too. A true artist at heart, he even built the oven himself. 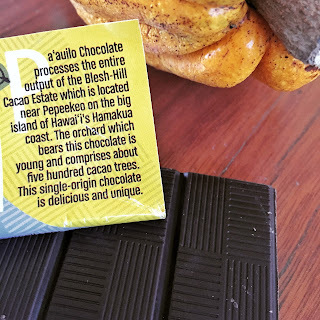 This is part one of a series of posts about Hawaiian cacao, chocolate, and the people behind it all.